be free to grasp them." to SUCCEED and be HAPPY in life. with your dreams ... goals ... visions ... purpose. We start our journey into the world with vigour, passion and freedom, believing in ourselves and our abilities to create the visions we see ourselves and our future. As we strive to succeed in all that we set our minds to achieve, life brings to us many valuable experiences that helps us thrive in all aspects of life. However, at some stage through life, the occassional challenge takes us into the off-beaten track and for some, a fog sets in over time and the road ahead is not as clear. Like a compass pointing to earth's true north, we have this knowledge that we will succeed so we plough through the terrain of life experiences. There comes a time in each of our lives, when we have to take stock and review if the road we are on is still ours to lead. Becoming aware of this turning point is when true transformation happens. To LIVE your truth ... to BE your truth. To do this ... the first step is to clear the fog and step back into your essential self. Successful people for generations use this unconscious ability. We have this natural pull to achieve success in life because we have this knowledge within us. The only thing is ... sometimes, we need a reminder of how create this unconscious ability. Are you ready to join the many others who have succeeded in life before you. True Essence Therapy Services specialises in helping you reclaim the rightful lifepath that is yours. Through the process of Re-Emergence, you can release the past more easily. 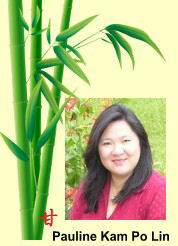 Pauline Kam invites you to step up to live your life to its fullest. You are then empowered to live your future to its highest potential because being free of old patterns and conditionings enables you to realign your life focus back to your own natural drive. Traditional therapy often looks at reviewing the past, learning to understand how it has impacted us today and helps us decide where we want to go from here. However ... people often find themselves knowing what they want, and the things they should do to get there and yet ... find themselves not being able to do so despite all their knowledge, understanding and willingness. Clients who experience the powerful impact of Re-Emergence find themselves surprised at the ease and speed in which changes happen in life as a whole. © 2005-2010, Pauline Kam, True Essence. All rights reserved. Last updated: on 28 June 2010.